This is not a book unto itself, but merely one-third of Volume 9 of his multi-volume A Study of History series, subtitled, “Contacts Between Civilizations in Time.” However, it can stand apart from the other sections, and it is so dense and at times so insightful it deserves its own treatment. 1. There have been many “renaissances” throughout history and to call the one we know “The Renaissance” narrows our vision and prevents us from seeing patterns throughout time and place. 2. When we think of The Renaissance we think mostly about its art, but the classical style came from a broader classical culture. One thing inevitably spills over into another. 3. Finally, what a “renaissance” really involves is not so much a resurrection of an idea in the sense of new life, but an act of necromancy designed to bring back to life a dead past. Think Frankenstein instead of a “new heavens and new earth.” After all, we cannot bring back the dead, but we can contact a dead past’s “ghost.” It is this concept of a Renaissance as an act of necromancy that gives this part of the book its unifying theme and key spiritual insight. With that in mind. 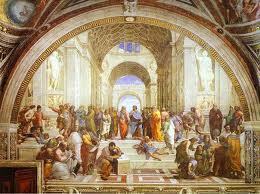 . .
Toynbee begins with the Italian Renaissance, with which most of us are familiar. Imagine yourself in Florence, ca. 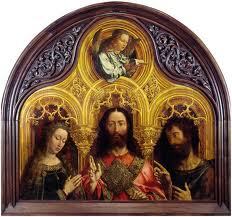 1400 A.D. Let’s suppose that you discover the artistic classical style and you begin to replace the prevailing gothic way of seeing the world. Soon you find yourself, however, noticing the classical political ideology can lend credence to your fight for more independence for parochial communities (i.e. Venice, Florence, etc.) in one fell swoop. The city-state system experiences a revival in Italy, which leads to a different role for the Church. In time, the nation-state is born. So, “one thing leads to another.” We cannot expect that we can revive just the artistic style without the accompanying framework. 1. Necromancy is by definition an act of desperation (i.e., Saul and the witch at Endor, the rise of spiritualism and seances in England during World War I). The desperate act may be warranted/worth the cost, or it may be a reaction in the wrong direction. 2. Necromancy reveals not only desperation but a lack of confidence. Necromancy signals an abdication in our ability to create something new and the passive acceptance to what others already did for you. Regine Pernoud made similar points in Those Terrible Middle Ages. But there may be more to it; a renaissance may reflect something deeply lacking in the era in which it happens. 3. When civilizations connect with each other in living “space,” the interaction between the two has potential for equality and mutual exchange, but not with ghosts. While in Hades, the ghost has no power. You live; it does not. 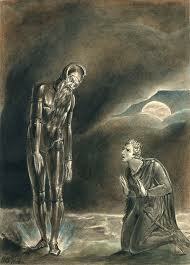 But call up the ghost and you discover, like Hamlet, that the ghost has all the power. You have no influence over the dead, who cannot hear you. All you can do is listen to them. Again — you have abdicated something of yourself by reviving the ghost. “Renaissances are bound to be insulated experiences,” Toynbee commented. You are now in his power. The US helped support the revival of the ghost of 19th century Sudanese Wahabi’ism in Afghanistan in the 1980’s, and that did not work out so well for us. But maybe drastic times call for drastic measures. Take Charlemagne, for example, who along with Pope Leo III revived the ghost of the Roman Empire. Was it worth it? 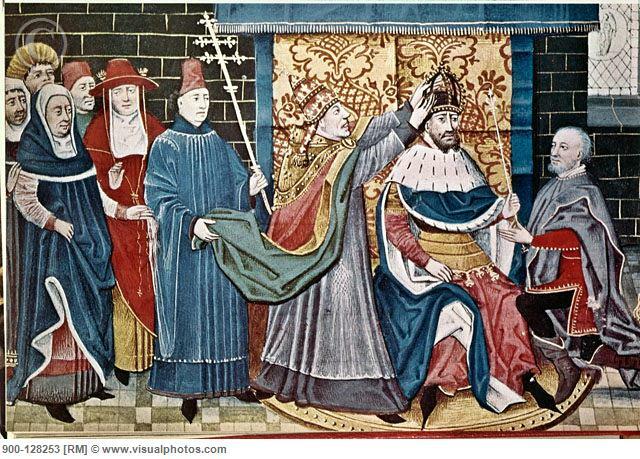 Many historians credit Charlemagne with reviving civilization itself in Europe for the first time in three centuries. Perhaps inventing a new model would have been preferred, but how much do we blame them given the chaotic times? Still, even if we agree with Pope Leo and Charlemagne, we must count the cost. Empires mean conquest; conquest means death, centralization, and other attendant evils. You can’t have Charlemagne be the “Holy Roman Emperor” without bringing back the filth attendant to the glory. 4. The effect of the ghostly presence will depend in part on geography. Reviving a direct family member works differently than a distant cousin. So in Italy the effect of the reviving the classical ghost would be like bringing back the stern father, while in the north the response would have more latitude, and probably, more creativity. Of course the closer the relation, the greater power the ghost has. We will also have a difficult time getting the ghost to leave. In Europe the classical artistic style faded within a century, but in architecture it remained centuries longer, and politically longer still, into the 20th century. However necessary they may be, renaissances remain unpredictable and dangerous. Approach at your peril. I enjoyed this analysis on the dangers of calling up ghosts in the music industry. This entry was posted in 12th Grade, 9th Grade, Book Reviews.